We believe that the best images start with having the best photographic equipment available to capture true, authentic moments that reflect the essence of each subject. Without cutting corners or sparing any expense, we have the newest cameras, best lenses, and most advanced wireless lighting tools for any job. 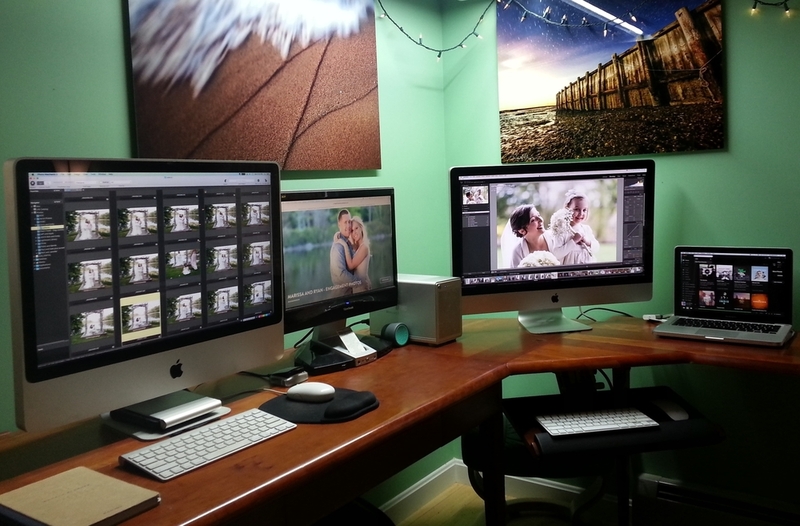 We also invest lots of time in viewing, selecting, and enhancing images with the most powerful software available. We aim to celebrate your unique individuality. We understand that everyone has different ideas and style, so we want to be sure to deliver images that you'll love and cherish. As we communicate with you, we dig to find out who you are and what is important to you. We LOVE to look at Pinterest boards and other sources of inspiration so that we can imitate the style that is reflected, tailoring our shooting style to best fit your unique expression. We deliver the best photos to you in a timely manner. With over 15 years of business, we have developed a process to view, select, and fine tune images that are delivered to you quickly, and without copyright or watermarks that would prevent you from sharing. The process begins by choosing the best images and sending them off to a professional lab where tones are adjusted to achieve the most accurate and true colors. Once the photos return from the lab, Paul Blackmore personally inspects each image using several programs to adjust things like contrasts, tone curves, shadow and highlights, as well as air brushing to smooth skin surfaces, and cropping. Website - A personal website which allows you to share photos and even download them for free! Through the website you can also hide images to make them private, favorite images for albums and books, order prints and other photo products. Flash Drive - We include all edited high resolution images on a custom flash drive for you to cherish. DVD - We include several sets of DVD's so that you can give them to close family members, like your parents! Lastly, we archive the photos forever! If you ever loose you images we can send out a replacement disk or flash drive to you. We offer the highest quality service at the best price. How so? We run a green business powered 90% by solar energy. We are not family by blood, but we are when it comes to our art, and we operate as if we were a family business. We take pride in going the extra mile for clients, as they are our best source of advertising. That's why we have minimal costs associated to advertising and promotion.